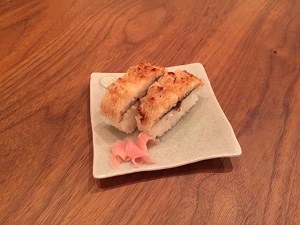 The chef of “Kyoryouri Kinobu” brought us “Hamozushi (sushi with conger)” as a gift for summer. “Hamo (conger)” is one of the most popular summer dish in Kyoto and everyone eats “Hamo”. Every summer, he visits us to give a greeting for summer with their “Hamozushi”. We could taste summer of Kyoto slightly earlier than others. 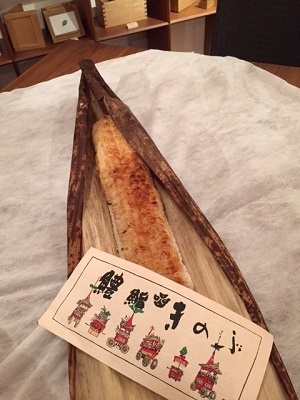 Thanks for the special gift of “Hamozushi”, Kinobu. We are really grateful for their hospitality.